The huge success of Casinos Austria Poker Tour (CAPT) for the past three years has been a great factor that Casinos Austria continually offers this series of poker tournaments throughout the Austrian Casinos. The CAPT 2011 will take center stage on the gorgeous Austrian Casinos starting January and culminates in the 22nd European Poker Championship in October. 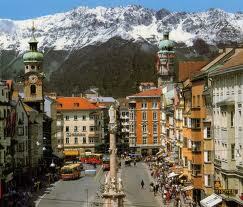 CAPT Innsbruck is the fourth stop of this prestigious Austrian Poker tournament. The CAPT tournaments have consistently established itself as some of the best managed poker events worldwide. Lately, the tournaments have evolved into a rich poker tour with prize pools getting bigger. Despite this, CAPT still remains to be quite an inconspicuous treasure from poker sharks. 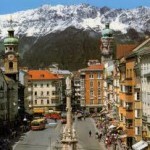 CAPT Innsbruck will be held in Casino Innsbruck, located in Salurner Straße 15, Innbruck, Austria. It has become the sanctuary for people looking for fun and excitement most especially when you have lots of Euros inside your pocket. The casino features an ultra-dynamic night of lively gaming, fascinating entertainment even culinary delicacies. Besides, the casino offers a world-class variety of games in modern casino set-up which include American roulette, black jack, French roulette and of course, poker. With the on-going CAPT 2011, patrons of Casino Innsbruck are very excited as this prestigious Austrian poker event kicks off in May 8th until May 15th. Now, let’s take a brief preview of last years CAPT tournament and what to expect in the upcoming CAPT Innsbruck 2011. Last year’s Casinos Austrian Poker Tour in Innsbruck was also a resounding success with names rising among the rest such as Roman Pumpermick, Alexander Moser, Ronald Zapantis, Markus Lehmann, Aski Kocas, Willi Fuhrer, and Soysal Ozkan. A useful reminder, though, most especially for novices and spectators; Casino Innsbruck strictly enforces a dress code upon entering their poker rooms. You need to be in formal attire, from clothes to shoes. With CAPT Innsbruck 2011 fast-approaching, one can expect another thrilling and fascinating event at the wonderful Casino Innsbruck.